Over the last month, I outlined four broad entrepreneurial strategies that start-up ventures could choose between. The idea was that they had to focus on just one because (a) they had limited resources and (b) that the four choices were, in fact, substitutes. But Amazon has become a puzzle in this more recently and I have tried to distill why. Amazon, at its founding, pursued the quintessential disruption strategy — being oriented towards competition and focusing on execution. Both choices formed the identity of the company going forward. If you read Brad Stone’s wonderful book, you will see that Bezos was a person who decided to relentlessly put the customer first. Indeed, they even registered the domain relentless.com (and look where that takes you now). One story from that book always sticks in my mind. In 2001, Amazon faced continuing financial issues and many were negative on its future prospects. 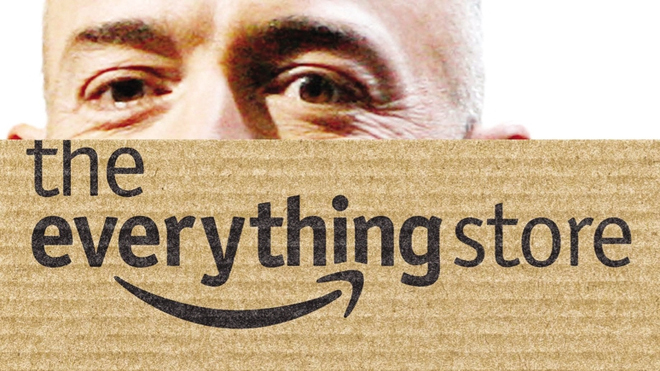 The spectre of “Amazon.bomb” loomed. Internally, to reach profitability, Bezos decided to quietly raise prices on books and other items. Amazon appeared to waiver from its initial mission. Then Bezos met the founder of Costco, Jim Sinegal, at a Starbucks inside a Barnes & Noble. Bezos was fond of that meeting place for its ironic value. There, Sinegal told him that Costco had similarly faced pressure from Wall Street to raise prices and also to entertain being acquired (Walmart was a suitor). Sinegal explained that Costco cared most about customer loyalty. Costco would buy in bulk and mark-up everything at 14 percent regardless of whether it could charge more — which it could. It didn’t advertise and most of its profit came from annual membership fees. Since then Amazon have pushed for low prices and also the “delight” the customer. But there have been wrinkles. The pursuit of the ‘1-Click‘ patent is a case in point. In 1999, Amazon developed and patented its ‘1-Click’ technique for online purchases. That technique allowed consumers to click to purchase an item by being logged into the system without having to confirm and reauthorize payment each time. Clearly, the ‘1-Click’ technique was an important part of customer-focus but what about the patent itself? It was the subject of a decade of dispute eventually being confirmed in the US but never granted in Europe. But it also placed Amazon under criticism for using the patent system to protect what many believed was a minor innovation. The patent was not purely defensive with Amazon licensing ‘1-Click’ to Apple and also filing a law suit against Barnes & Noble who eventually had to add a second click to online purchasing. Amazon’s position on ‘1-Click’ lost it good will and also blemished the branding of the function. Although it is not possible to evaluate precisely how costly that was, it is hard to see that Amazon really benefited from seeking to control that function. As a company that had already developed many of the elements of a successful online retailing strategy, preventing this particular functionality from arising in competitors would not likely have gained Amazon additional customers. After all, if a customer is using Amazon just to reduce a click whereas they would have otherwise purchased elsewhere, Amazon has not exactly served that customer well. So one Amazon is the relentless one pursuing a disruption strategy. But the other Amazon is the one that arises because it is no longer a start-up. The difference between entrepreneurial strategy and ‘normal’ corporate strategy is that you don’t have to be focused any more. To be sure, there is plenty of evidence suggesting that sticking to the identity you started with is a good predictor of success but one can imagine the constraints are relaxed. So Amazon has both a choice and resources to branch out. This is where the other Amazon is coming through and it appears to be coming through in relation to its pure digital delivery business and not its physical retailing business. Amazon famously had a dispute with Macmillan over eBook pricing (which it lost) and now over Hachette. It has other battles with Disney and other movie studios. In these cases, Amazon has taken its negotiations out of closed rooms and into its business — specifically, it has decided to harm rather than delight the customer in the process. With Hachette, Amazon slowed delivery times and also has stopped pre-orders of books. Both of these harm customers. Customers like to pre-order so that they don’t have to remember to buy a book later. There are also allegations that Amazon has stopped promoting Hachette books. But remember, promotion — while it may help publishers — if done right, it should help readers. After all, the reason why ‘other people bought’ works so well is that readers actually find better stuff that way. Now, of course, Amazon will argue that this is all part of a long-term strategy to help consumers. But it sure doesn’t look that way — or at least not obviously so. Amazon we are told has enabled self-publishing to really work but at the same time it gives self-published authors a confusing array of options with big incentives to ‘go exclusive’ through Amazon. Why does it have to do that when it has so many consumers? The primary reason one can imagine is that they are trying to ‘lock in’ authors and then consumers. The point being, in the future, consumers won’t have a level playing field choice between Amazon and others but will be biased towards Amazon because of such ‘lock in’ combined with network effects that accompany them. This is already impacting on tablet readers. Amazon’s tablet apps are inferior to many others and reflect very little in the way of innovation. But consumer are locked-in to them because of past behaviour and DRM (which is also the publisher’s fault!) and also because of exclusivity. (Not convinced, try buying the best selling Piketty’s Capital on iBooks). The issue comes not from Amazon’s goal to pursue low prices or its stated goal to incentivise authors. It comes from their tactics. If the Kindle or digital business is not going to be disruptive but instead architectural, why have tactics that harm the disruptive position of the physical goods business? And if the concern is that Hachette isn’t serving the consumer, then provide a better publishing house for those authors to lure them away. Yes, in the short-term, consumers pay higher prices but in the longer-term, the problem — the publishers who don’t see the future — can be competed away. And you’ve touched on or hinted what may be Bezos’ real motivation and strategy – control, power, and the elimination of inefficient competition to use a phrase common to J.P. Morgan and the Guilded Age trust builders. Amazon is not a bookseller or a purveyor of customer goods. At heart Amazon is becoming a logistics trust that sits at the intersection of much of our general commerce. Amazon is the old railroad trust, the steel trust, a logical culmination of Morgan’s thinking of interconnected control. How has Amazon harmed me by pushing Hachette to offer the same ebook pricing pattern as other publishers? Sure, I might have to click over to another website to get one of their books sooner, but I liked Amazon’s ebook prices. I resent it when I feel ebook prices are too high. For now, I just buy the book as a hardcover from another purveyor, or I get it from the library. Every time a medium goes digital and cuts production costs, the content suppliers (not the creators) sees it as an opportunity for a profit grab. As a customer, I appreciate Amazon not playing ball. CostCo does the same thing. There are all sorts of products they don’t stock, because they can’t get the prices they want. Interesting analysis, but I’d respectfully dissent on one point: against Macmillan Amazon lost merely a battle, not the war (see antitrust decisions on both sides of the Atlantic).